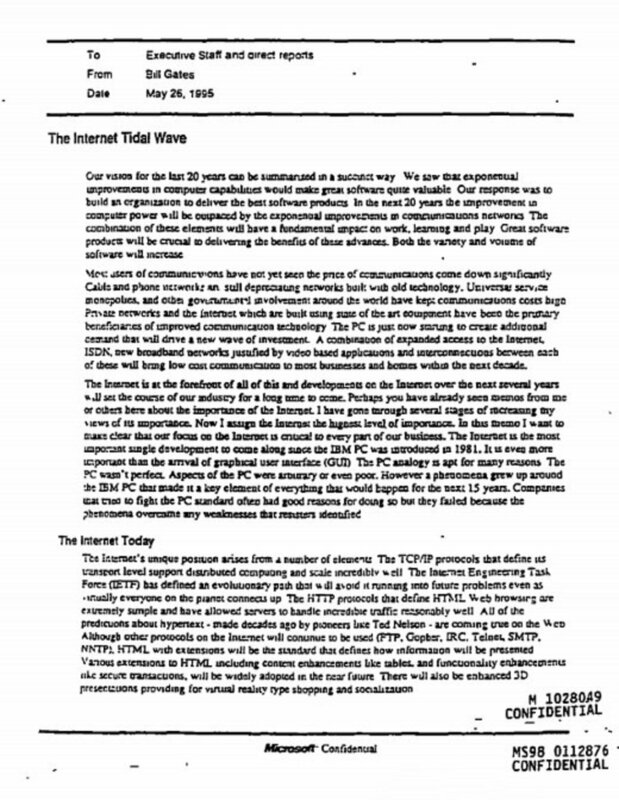 In the spring of 1995, thanks to the rapid commercialization of the world wide web, the world was on the cusp of the internet era—a shift with profound implications for Microsoft, the company that dominated PC software. Its cofounder and CEO Bill Gates responded with a five-alarm internal memo, “The Internet Tidal Wave,” that gave “the highest level of importance” to responding to this challenge in the most sweeping, ambitious manner possible.. The whole memo is available for your perusal at Letters of Note.